Mark Seymour is the chief technology officer and a co-founder of Future Facilities and an active member of The Green Grid. Most recently, Mark led the development of The Green Grid’s Performance Indicator, a new way to holistically assess and visualize data center cooling performance. With the introduction of a white paper and a tool that address availability, capacity, and sustainability simultaneously, Mark has helped position The Green Grid as the central organization in the effort to maintain safe and suitable thermal IT operations without losing sight of efficiency. In addition, Mark has lent his considerable expertise to a number of projects while continuing to serve as one of the main technical contributors who have shaped the Program Committee and its related projects. Gary Verdun has been an active participant in several of The Green Grid’s ENERGY STAR work groups over multiple years, is a member of the Government Engagement Committee (GEC), and participates in a wide range of regulatory efforts. He is a respected and continuing contributor to ENERGY STAR efforts, to other regulatory programs, and to overall GEC content development. Recently, Gary stepped forward to lead the GEC effort to respond to the Large Network Equipment (LNE) specification, a post he accepted in addition to his other ongoing activities. His leadership of the work activities made it possible for The Green Grid to be a participant in the specification development and review by ensuring that multiple members and viewpoints were represented. Lance Rϋtimann is an active participant in The Green Grid’s Board of Directors, EMEA leadership team, and the GEC. He is currently the association’s vice president and chairs the Program Committee, which manages the wide range of activity requests that drive content produced by members of The Green Grid. He is also engaged in a number of information and communications technology (ICT) oriented committees and organizations at the national and international levels. Lance has been highly active in reengaging the Program Committee and has worked diligently to amass deeper participation from The Green Grid’s member companies and individuals. This includes ensuring that the various regions are included in decision making by arranging meetings across time zones. Lance has distinguished himself through thoughtful proposals and recommendations that suggest innovative ways to increase engagement throughout the associations, such working with the GEC to bring forward EMEA activities and requirements to the global team. This effort has had the effect of increasing global visibility of EMEA issues. Bill Kosik, most recently served as a Distinguished Technologist at HP Data Center Facilities Consulting and has been a member of The Green Grid since its inception. Bill’s many contributions to The Green Grid over the years include helping the Liquid Cooling Work Group develop methodologies and processes for data centers using liquid cooling, assisting the task force charged with revising the process of developing PUE, and helping the Total Cost of Ownership (TCO) Work Group draft the qualitative report on the state of TCO modeling for liquid-cooled data centers. He also helped develop consistent methodologies to calculate or allocate energy use and associated carbon emissions for different data center types. Recently, Bill stepped in to lend crucial assistance to The Green Grid China’s Free Cooling Tool, working to validate and optimize current air-side free cooling tools. He also agreed to support the Liquid Cooling Work Group’s TCO tool generation, an effort that will greatly benefit from his involvement. Bill has numerous other TGG projects where he has lent his expertise while continuing to serve as one of the main technical contributors who have shaped the DCFC technical expertise in energy use optimization and sustainable design practices in data centers. Dr. Takao Shiino has represented The Green Grid for seven years, serving both as chair for the Japan Liaison Work Group and as an alliance manager for the ASP SaaS Industry Consortium (ASPIC) [link to ASPIC on the Alliance page], the Green IT Promotion Council, and the Japan Data Center Council. Under Dr. Shiino’s leadership, The Green Grid Japan has grown to include 16 Japan-based member companies and three individuals contributing to its efforts. The team has held 31 events during his tenure, ranging from member meetings and workshops to data center tours and the annual Japan Forum. In addition, Dr. Shiino has been a speaker and active participant at many global Green Grid events. Tomoo (Tom) Misaki works in the Center for Strategic Management and Innovations as the senior technical researcher and senior manager at Nomura Research Institute. His recent research areas include green IT and ICT, data center energy efficiency, building ecology, ecology legislation, green and carbon tax and tariffs, and technology research for new and innovative businesses and planning. Tom has been a vital contributor to The Green Grid’s work in Japan since the establishment of Japan Work Groups in 2008 and through his global support of many of the association’s international activities. He has contributed as an active member of the Japan Technical Work Group, supported Japan marketing activities, and held a liaison role for The Green Grid Japan. Based in Japan, Tom attends the majority of The Green Grid’s U.S. and EMEA events to connect with other members worldwide. Utilizing his extensive network and resourcefulness, Tom was recently able to support the Japan Forum planning team to assist with scheduling an international keynote speaker under a tight deadline. His quick response and outstanding efforts helped ensure a successful Japan Forum event. Corban Lester leads sustainability research and development for Lockheed Martin Energy Solutions and provides thought leadership on IT and data center energy efficiency. He has developed successful utility energy efficiency programs for clients, such as the Energy Trust of Oregon, Ameren Missouri, and Pepco, and is currently a lead energy consultant on the first-of-its-kind data center consolidation ESPC for the U.S. Department of Energy. Corban has been a vital contributor to The Green Grid’s Technical Committee over the last five years. He has served as the Technical Committee’s vice chair and has led the Utility Task Force, which is working to help utilities address the needs of IT organizations through energy efficiency programs. Corban is an energetic leader who goes the extra mile to draw the most out of team members. He has lead teams across multiple disciplines and backgrounds to produce excellent technical documentation and analytical reports, such as Green Carrots: Incentive Programs and the IT Industry, Understanding and Engaging Utility Incentive Programs, and An Analysis of Server Virtualization Utility Incentives. Additionally, Corban has been a speaker and active participant at numerous Forum events. Jay Dietrich is IBM’s recognized global technical expert and leader for energy and climate policy. As a known and respected leader in the industry, Jay advocates for practical and attainable implementation of IT energy efficiency practices and metrics. He has been a longtime member of The Green Grid, actively participating in the ENERGY STAR fast track review processes and with work on the SERT and Emerald Performance/Power Metric Analysis. Jay has also been an important contributor to the Data Center Lifecycle Analysis Task Force, the ENERGY STAR for Servers Task Force, and is now an active participant in the Government Engagement Committee. His knowledge of government policy and practice has been extremely helpful to The Green Grid in responses to requests from many government agencies. Additionally, Jay has been the chair of the Data Center Energy Allocation Task Force and the Server and Storage Metric Analysis Task Force. Christophe Garnier works in environment standardization and regulation for Schneider Electric, a board member of The Green Grid. In addition to his work with The Green Grid, Christophe led the consortium of UPS manufacturers and organizations that was selected in 2013 by the European Commission to participate in the Product Environmental Footprint Pilot program that will prepare the EU policy on product footprint. David Wang is a data center architect at Teradata Corporation, a contributor member of The Green Grid. Since June 2012, David has been instrumental in organizing The Green Grid’s efforts in China. His contributions include advising the Board of Directors on many key issues that are unique to the Chinese market, bridging language, culture, and business practice gaps between the U.S. and China, connecting The Green Grid to the Chinese data center industry, and representing the association at CDC 2012 Beijing as a keynote speaker and award presenter. David was also a driving force behind The Green Grid China Forum held in Beijing. Paul Peoples is a senior group manager in server technologies and enterprise storage at Target Corporation. He has served as a member of The Green Grid Advisory Council for approximately three years. Paul brings a wealth of expertise, knowledge, and passion to the table, and his dedication to The Green Grid’s mission has not gone unnoticed. His active participation, end user perspective, and careful evaluation of activities is much appreciated by his colleagues. Yuji Ishibashi is a member of the senior staff at @Tokyo Corporation, operating a mission critical data center colocation in Japan. Mr. Ishibashi’s background comes from operating and maintaining the electric power grid and designing the broadband access service via optical fiber cables. Currently, Mr. Ishibashi is responsible for a data center offering the highest levels of reliability and energy efficiency. He is also an active contributor to The Green Grid’s Japan Technical Work Group, serving as a key member of the Japan 3.11 disaster analysis project. Dr. David Snelling received his Doctor of Philosophy in computer architecture from Manchester University in 1993. Since 1997, David has been employed by Fujitsu as a senior research fellow in computer architecture, distributed systems, and energy efficiency technologies. David has been a vital contributor to The Green Grid’s Technical Committee, serving as vice-chair of the EMEA Technical Work Group. He also represents GPIC as an observer in the Global Harmonization of Data Center Energy Efficiency Metrics Task Force. The task force has collectively issued a series of important reports, including Harmonizing Global Metrics for Data Center Energy Efficiency – November 2012. 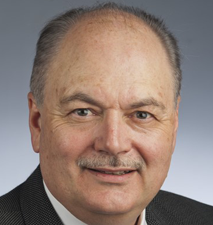 Jim Spitaels is a consulting engineer and senior Edison expert for Schneider Electric. He has bachelor's and master's degrees in electrical engineering from Worcester Polytechnic Institute. Since joining the company in 1991, he has developed UPSs, communications products, architectures and protocols, equipment enclosures, and power distribution products and has managed multiple product development teams. He holds over 20 U.S. and international patents related to UPSs, enclosures, power, and cooling systems. Kat is a vital contributor to The Green Grid. She has served as chair of the Web Work Group, which has been responsible for a wide range of improvements to The Green Grid website. Kat is also a member of the Marketing Committee. Dr. Zeydy Ortiz is a senior performance engineer in the IBM System x Performance Group at Research Triangle Park, N.C. She is responsible for optimizing future system designs for performance, energy efficiency, and virtualization. Zeydy joined IBM in 1998 after completing her doctoral degree in computer science from North Carolina State University. She has a master's in computer science from Texas A&M University and a bachelor's in computer engineering from the University of Puerto Rico. A vital contributor to The Green Grid’s Technical Committee, Zeydy has served as the Productivity Proxies Task Force lead. This task force engaged in an ambitious experiment to provide a workload analysis that compares many productivity proxies to one common baseline. Zeydy has also been an active participant in the Data Center Maturity Model Task Force. Michelle O'Brien has more than 20 years of business experience, including 16 years in high tech marketing with a focus on energy efficiency in the data center. Michelle has experience in all aspects of marketing, including analyst and public relations, advertising, strategic partner marketing, online customer community development, and enterprise marketing programs. She often acts as a consultant to executive management in recommending new programs, ideas, and strategies for the company. She is known for her exceptional people skills and focus on results and is considered a marketing ‘pioneer’ by leading new initiatives to give the company a competitive edge. Michelle has received several awards and served as chairman of The Green Grid’s Marketing Committee. Michelle holds a Bachelor of Science in finance from the University of Rhode Island and an MBA from Providence College. 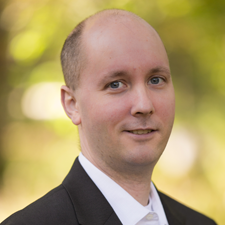 Christopher Kelley is the program manager for Cisco Containerized Data Center services. With more than 5 years of IT and data center facilities design and operations experience, he joined Cisco from Oracle/Sun Microsystems, where he was focused on development, sales, and delivery of modular facilities as well as fixed facility strategy, design, automation, implementation, and operations services. Christopher is also focused on facility automation and converged business service management He works with customers and industry partners to develop strategic and tactical roadmaps for the deployment of high-performance IT, cloud, and facility (such as “cloud in a box”) solutions. Christopher holds an MBA in global business from the F.W. Olin Graduate School of Business at Babson College and a joint Bachelor of Science/Bachelor of Arts in marketing and management from Northeastern University. He is also a Certified Project Management Professional (PMP) and holds other industry certifications. As a senior data center IT resource planner, Kerry Hazelrigg is responsible for ICT resource planning associated with all ICT hardware moving in and out of The Walt Disney Company (TWDC) Orlando data center. In this role, she serves as the main point of contact for internal clients and a bridge to the service and resource providers of the data center. She is also responsible for the Data Center Infrastructure Data Base, a tool that tracks ICT equipment and facilities resources within TWDC’s three main data centers. She started her tenure at TWDC in 1993 with responsibilities ranging from managing maintenance and monitoring of data center facilities equipment as a facilities administrator to liaising between IT and Disney Sports Attractions as a business technology partner. Kerry has been a vital member of the Operations Work Group and was the driving force behind The ROI of Cooling System Energy Efficiency Upgrades case study and white paper. She holds a Bachelor of Science in mechanical engineering with a minor in mathematics from the University of Central Florida and an MBA with a management concentration from Crummer Graduate School of Business at Rollins College. Harkeeret (Harqs) Singh is global head of energy and sustainable technology at Thomson Reuters. He is seen as the energy 'czar' and one of the main enablers of a greener and more sustainable future for the company. In his role, Harqs is responsible for energy efficiency and sustainability across the Markets division, including data centers, servers, storage, network, and desktop. Harqs has been working within the industry specifically looking at data centers and IT in both Europe and the U.S. for some time, particularly in the pursuit of advancing energy efficiency principles and working across traditional boundaries to achieve holistic efficiency. Harqs has been an active contributor to the Metrics & Measurement Work Group, the Advisory Council, and served as the chairman on the EMEA Technical Work Group. He has been the driving force behind the Data Center Maturity Model and led this piece of work to a successful public release. Michael Patterson is a senior thermal architect working in the Eco-Technology Program Office in the Digital Enterprise Group at Intel Corporation in Dupont, Wash., where he works in the power, thermal, and energy-efficient performance areas. The work covers silicon-level activity through platform- and rack-level solutions and on up to interface with data center power and cooling technologies. He did his undergraduate work at Purdue University, received his Master of Science in management from Rensselaer Polytechnic Institute, and was awarded his Master of Science and doctorate in mechanical engineering from the University of Vermont. His current technical interests include server power and thermal management technologies, server/data center interaction, and high density data center concepts. He has been with Intel for 17 years. He is a registered Professional Engineer. He is also a member of ASME and ASHRAE and represents Intel in a number of The Green Grid activities. Mike has been engaged in the Technical Committee since its inception, has served as the Technology and Strategy Work Group chair and actively participated in a number of other groups. His leadership in the Technical Committee has been instrumental, and he has played an important role in numerous projects, including the ERE: A Metric for Measuring the Benefit of Reuse Energy from a Data Center and the EPA Data Center Assessment Report. Eiji Taguchi has been working more than a quarter of a century in the IT industry. He joined Intel Corporation in 1982 and took a wide range of IT responsibilities to enable Intel's rapid growth, such as design engineering computing services manager, Japan site IT manager, greater Asia region IT engineering manager, Asia internet data center manager and IT consulting manager. Currently, he is in charge of strategic marketing programs, such as data center marketing, to enable Intel to design new generation enterprise products and platforms, and accelerate market transformation to new generation IT infrastructure. As the chair of the Japan Technical Work Group, Eiji's leadership and promotion of The Green Grid’s metrics and tools in Japan have helped the association establish relationships with government agencies and other organizations in Japan, thereby increasing its influence. 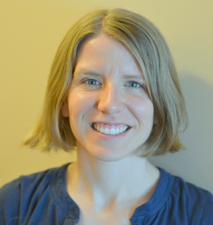 Pam Lembke is a product compliance engineer at IBM in the Systems and Technology Group. She is part of a team responsible for product environmental compliance and stewardship for server and storage products. She also provides support for server installation planning and energy estimator tools. Prior to IBM, Pam worked in the automotive industry on material application development. Pam has been instrumental in leading the Power Group – first as a task force leader, then as a sub-work group chair. This group has been one of the most productive groups in the Technical Committee with many of the deliverables being hallmark content for the promotion of energy efficient power management in the data center. Dan Azevedo is an IT director of data center architecture, strategy, and innovation for Symantec. He is responsible for the data center program including architecture, engineering, implementation, and operations globally. Dan currently supports 20 locations comprised of collocation, managed service provider, and in-house data centers and is also responsible for the Green IT Program. Dan was chosen for the Key Contributor Award for his instrumental work within The Green Grid in maintaining consistent output from the Metrics and Measurement Work Group. In the role of co-chair, and later chair, he took initiative and ownership and became the engine behind the group. Dan’s leadership in the work on the harmonization of metrics has been central in establishing The Green Grid in a position of global leadership. Dan can always be counted on to complete and initiate deliverables and attend any event at which his expertise is needed. Henry Wong is a senior staff platform technologist at Intel Corporation, enabling and evangelizing energy efficient power and thermal technologies. He is a 25+ year Intel veteran with more than 16 years of industry experience in digital and mixed signal processor development and more than nine years enabling power, thermal, and server platform technologies. Henry’s work within The Green Grid has been instrumental in building the association’s credibility with many of its government and national lab stakeholders. Notably, he is being recognized for driving and providing guidance on numerous responses to ENERGY STAR specifications, being a frequent go-between on discussions between LBNL and The Green Grid, and assisting with the promotion of the association’s metrics worldwide. Henry has also been a constant participant in the DC&A Work Group since its inception in 2007, championed a number of deliverables while participating in many others, and assisted as active vice-chair of the Technical Committee. With more than 25 years of experience in the computer industry, Vic Smith is a senior technologist with the Strategic Technology Group at Dell’s EMEA headquarters in the U.K. Dell technologists provide industry and technical knowledge, best practices, guidance, and pre-sales support throughout EMEA. With Dell since 1997, Vic is responsible for strategy relating to data center matters, including energy efficiency and environmental solutions (Green IT), virtualization, and management solutions for EMEA. Vic was selected for this award based on his leadership as the chair of the EMEA Technical Work Group and the time and effort he devotes to further The Green Grid’s mission, to support the needs of EMEA members, and to create content for worldwide consumption. He is being recognized for his diligent leadership in the effort to help plan the EMEA Technical Forums and organize successful attendance levels of members and non-members. At three of the four Forums, he was the primary presenter enlightening the audiences about what The Green Grid has recently delivered and exhorting members to become involved in works in progress. Vic was also the editor of a white paper the EMEA Technical Work Group delivered on the effects of carbon trading legislation that educates members on what is soon, very likely to be, a wide-spread global business reality. Rey Rodriguez is a senior managing consultant in IBM's Systems & Technology Group Lab Services and a Certified Master IT Specialist by The Open Group. He specializes in data center transformation and strategy and planning. With 25 years of system management and system engineering experience and production experience in manufacturing, food, and drug companies, Rey is a valuable asset to The Green Grid. Rey has been a vital participant of the Data Collection and Analysis Work Group and played a key role in the successful completion of number of projects since engaging with The Green Grid. Most notably, Rey diligently led the effort to provide The Green Grid’s input on the IT section of the Department of Energy’s Data Center Energy Profiler (DC Pro) tool. Members of The Green Grid can use the information to plan for their evaluation, adoption, and use of the DC Pro tool. In recognition of his leadership in this project and his ongoing commitment to The Green Grid and advancing energy efficiency, the Board of Directors chose Rey as the first recipient of The Green Grid Key Contributor Award. Nominations for members who have made significant contributions to The Green Grid’s work are now being accepted.